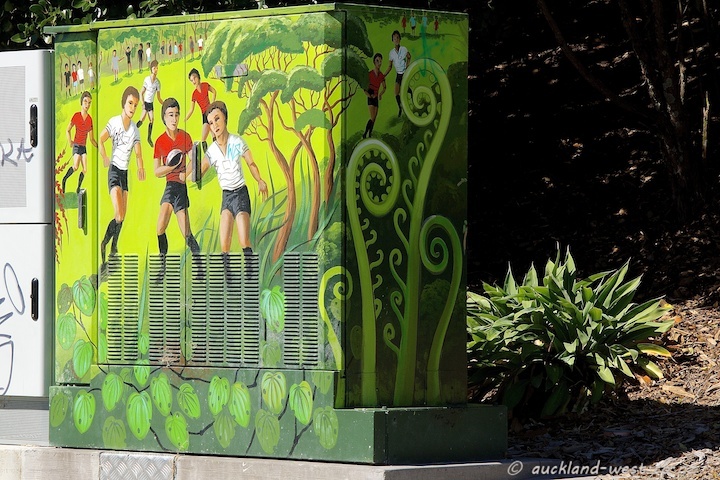 This utility box is next to the Lawson Park Rugby League grounds in Willerton Avenue, New Lynn. It appears that the box got too small for all the equipment, so there are appendages, which of course have attracted the taggers (curse them). 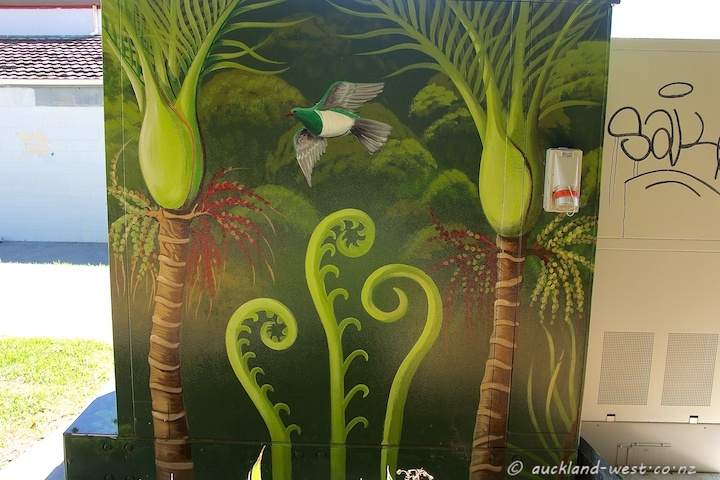 There is no signature, but my suspicion is that it is the work of Monique Endt.